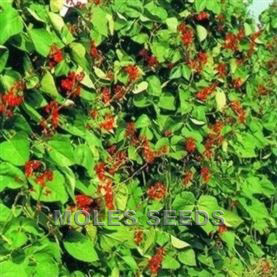 Divine is a series that features plants with a great branching habit that produces lots of flowers all season long. Divine is an economical choice for production in packs and 10cm pots compared to vegetative material. The branching habit also creates nicely shaped, mounded hanging baskets. Foliage provides an excellent contrast with the blooms. 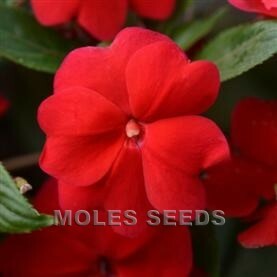 Impatiens require great care, particularly in the early stages, to get the best from the seed. 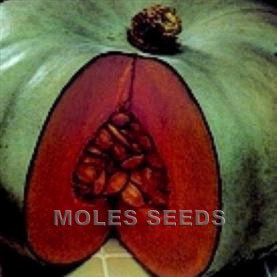 Modern F1 hybrids are produced to yield 90-100% germination given favourable conditions during raising. Sow January-March. For first 5 days: 22-24°C, cover seed with vermiculite but do not exclude light, make sure well watered, low nutrient compost pH 6.2-6.8. For following 10 days, 22-24°C, medium moisture, ideally provide supplementary light above seedlings, give one weak strength feed. For following 10 days, reduce temperature to 20-22°C, one moderate strength feed. For next 7 days, temperature now 17-18°C, one moderate strength feed. At the end of this stage, strong seedlings should be ready for planting on into packs/pots as required. Impatiens Downy Mildew is a potential problem for producers and users of this important bedding plant. We recommend taking professional advice regarding routine spray programmes when producing this crop. New Guinea Impatiens does not appear to be affected. Approx. 1000-2500 seeds per gram.